We have been present in Argentina since 1998. 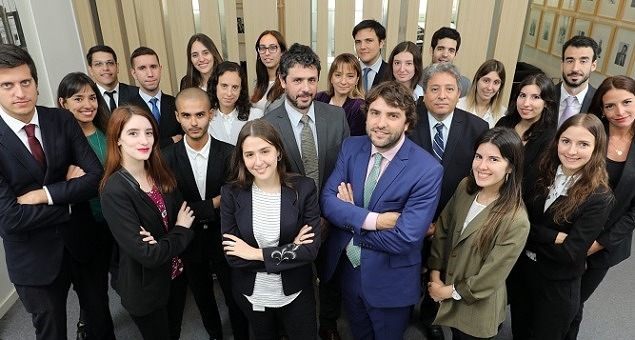 LLYC Buenos Aires is the main communication, public affairs and reputation management consulting firm in the country and have seen immense growth in the local market in the last few years. Our work method, commitment and strategic capacity is focused on generating value and getting specific results for our clients’ businesses. That’s why we offer five areas of expertise: Public Affairs, Leadership and Corporate Positioning, Consumer Engagement, Talent Engagement and Digital Communication. We have extensive experience working on complex projects related to Corporate Communications, Crisis Communications, Dispute Communications, Corporate Social Responsibility and Digital Communications. Moreover, we have solid contacts in order to manage public sector interests. Some of the companies that have chosen to work with us include Abertis, Andes Energía, Avon, Bimbo, Cementos Avellaneda, Cencosud, Coca-Cola, Fortinet, Kellogg’s, Microsoft, Nespresso, PAE, Siemens, Universidad de Palermo, Trocafone and Whirlpool, among others.